The days of label executives signing unknown talent are long gone. : ‘Old School’ vs ‘New School’ by NY entertainment lawyer Robert Celestin. I met Robert 10 years ago at his offices in midtown Manhattan with a group of fellow music business students from my alma mater. It’s a distant memory, but I do remember him giving us the raw truth about the music industry while I glanced at the platinum plaques on his wall. The post is brief, but the gist is this: the likelihood of you getting signed to a major label based on just talent is slim to none. You need to already have a buzz around your music for any major label to even acknowledge you exist. I’ve truncated the post down a bit, but I encourage you to check out the full post. It’s been a crazy (but blessed) couple of months in that I was able to negotiate two (2) record deals with two (2) major record labels. Relationship :: LA Reid knew and had a working relationship with my client Tse Williams. Hit records :: Even though the group had not yet amassed a substantial online fan base, they were extremely talented, well-rehearsed, and the three songs they performed at the showcase were bona-fide HIT RECORDS! Contrast that with the second record deal I negotiated for a Brooklyn-based rapper, whose record deal with G.O.O.D. Music/Def Jam is representative of the “New School” method of getting signed. He released a single on social media (i.e., Facebook, Soundcloud, YouTube, etc.) which quickly went “viral”. Soon thereafter, local New York DJ’s started playing the record in clubs and on the radio and then my phone started ringing… a lot! 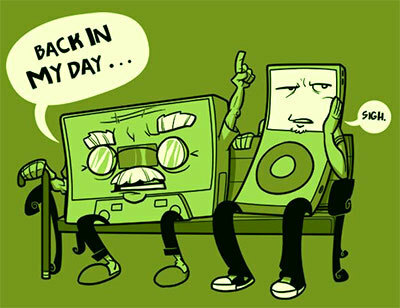 Sadly, the “Old School” record deals are no longer the norm and are far and few in between. The “New School” record deals in which the artist has to first build a fan base and “buzz” to ultimately attract the attention of a record label is now the norm in the music industry and will be for the foreseeable future. Of course, none of this matters unless you actually want to be signed to a major label… but that’s a discussion for another time.